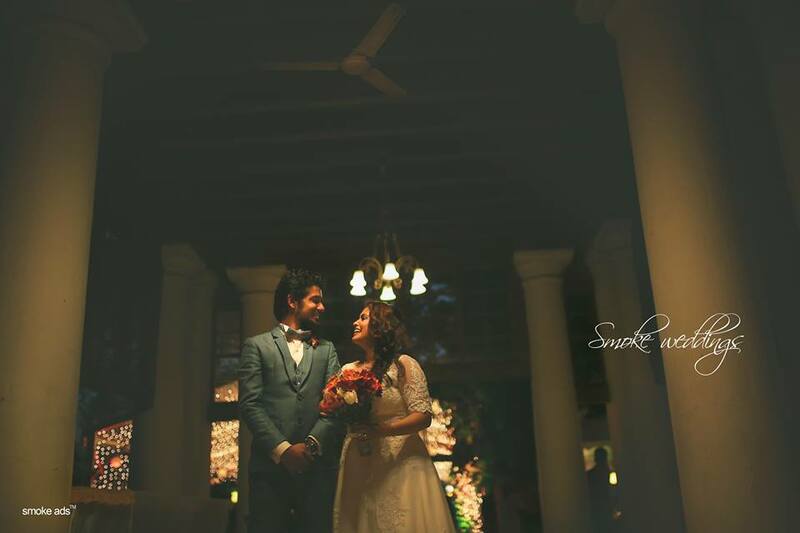 Movie Paradiso: Sreenath Bhasi tied knot with Reethu Zazhria in Private Ceremony in Kochi. 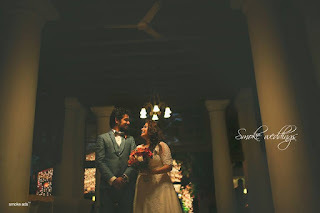 Sreenath Bhasi tied knot with Reethu Zazhria in Private Ceremony in Kochi. Talking about the youngsters in Mollywood, Bhasi is one of the names that needs no introduction. Starting his career as a RJ in Red FM and the actor debuted in the silver screen through a small role in Mohanlal starrer “Pranayam” 2011. Having acted in for about 15 movies, the project that brought him to the lime light are Ustad Hotel, Da Thadiya, Honey Bee and North 24 kaatham. He made his presence felt in 2016 through the movie ‘Jacobinte Swarga Rajyam’ and ‘Anuraga Karikin Vellam’. Sreenath Bhasi tied knot with Reethu Zachariah on 9th December 2016. The private ceremony took place in Bolgatty Palace in the presence of close family, friends and some celebrities. About Reethu, being from Trivandrum; she is a graduate in Mas Communication and a longtime friend of Bhasi. Labels: Malayalam, Malayalam movie updates, Reethu Zacharia, Sreenath Bhasi, Sreenath Bhasi tied knot with Reethu Zazhria in Private Ceremony in Kochi.